An Offshore Trust is a legal entity, where a trust deed is signed between two private individuals. The main purpose of this act is to set up a barrier between the legal owner of an assets and its real beneficiary. With an Offshore Trust, the ownership of property or financial assets is transferred to a natural person or a legal entity known as “administrator” who latter becomes as the legal owner and responsible for the management of these assets. It is also required to transfer property or financial assets to the beneficiaries of the offshore trust (which may include the person or company who created the trust) under the terms of the trust deed. The powers of the administrator are registered in the Trust Deed and are of course governed by the law of the Trusts offshore jurisdiction. In many jurisdictions, the Trust is governed by customary law. Most other types of goods (aircrafts, vessels, properties, social security, works of art, jewelry, etc.). Better management of international income, capital gains and property taxes. 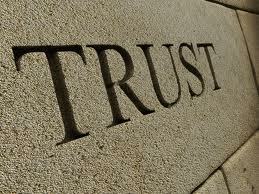 Last advantage but not least, an Offshore Trust is recognized in all common law jurisdictions . An offshore trust is the best solution for any individual wishing to protect its assets against political risks, economic or family or even to consolidate ownership of all these assets in one place. Such a structure also allows to benefit from more favorable tax conditions in case of wealth transfer. Indeed, with an Offshore Trust, when residents of the offshore jurisdiction are not included in the list of beneficiaries of the Trust, property and income are exempt from local taxation. Thus, there will be no tax and no inheritance tax and property can be transferred to the heirs simply and at a low cost. In ICD Fiduciaries, we offer you our expertise for the creation of your Offshore Trust. Do not hesitate to contact us. – For who and for what an offshore company can be used.